Whenever a busy season draws to a close, you are exhausted and ready to get off for a well-deserved break away from the rest of your crew (who you normally love but are frankly sick of), and the boat, which has been your home pretty much non-stop for what feels like forever. So, with all that lovely tip money burning a hole in your pocket, and a bank account full of saved wages, where do you go to truly disconnect and enjoy some down time? Well, look no further as we have curated 10 of the coolest new hotels opening around the world in 2018. Some are already open, and some are due to open later in the year (more time to save up), but either way, there should be something for everyone. These aren’t really what you’d call budget options, ‘total blow out’ is probably more accurate! 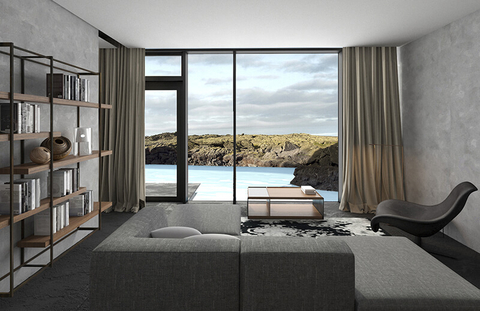 A true Scandi retreat; enjoying dramatic landscapes viewed from a stunningly warm but contemporary interior. Think concrete, wood and glass softened by leather and sheepskin. Rooms are elegant, with a neutral palette and luxurious touches. The semi-subterranean volcanic spa offers wonderful treatments, but also a steam cave, fire room and a lava spring. The hotel ‘floats’ in the startling blue, mineral-rich waters of the lagoon (accessible via the spa), and if you are feeling REALLY rich, you can stay in the Lagoon Suite with its terrace and direct access to your own blue pool. The beautiful restaurant ‘Moss’ has a clear view through the full-length windows out to the lunar-like landscape beyond, and you are served modern Icelandic dishes made from locally sourced ingredients. Tasting menus are available, as is catch of the day. Prices are not for the faint-hearted. For a total change of pace, what better than a stay in a city? 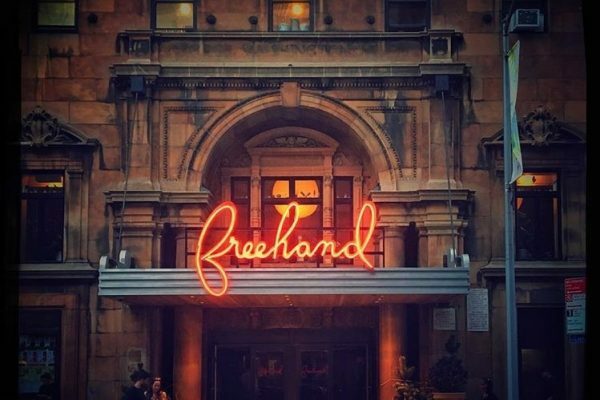 Located on Lexington Avenue, this fantastically quirky hotel is the epitome of Boho-chic, featuring artworks throughout by the Bard College Artists, and an artist-in-residence programme. This is a great choice for something really different. 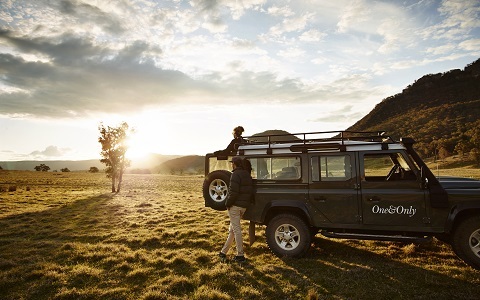 Accommodation is varied – Queen, King, Suite, Bunk or Three’s a Crowd – the latter two are great if you are travelling as a group, or want something more budget-friendly. Décor is trendy, arty yet stylish and comfortable. Lots of unique touches and plants. There’s a rooftop oasis bar/restaurant to enjoy, as well as other fantastic eating and drinking options. This super-stylish offering in west London has 33 bedrooms of various sizes, and a 1920s inspired décor including classically patterned wallpaper, original pieces and sumptuous fabrics. 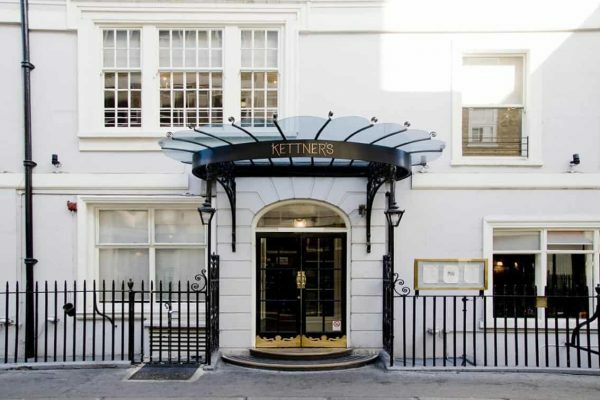 It’d also something of a historic treasure; established in 1867, Kettner’s has a rich past littered with famous names such as Sir Winston Churchill, Oscar Wilde and Bing Crosby. The beautiful and well-known restaurant serves sublime French cuisine using locally sourced ingredients. There is also a live piano bar and champagne bar, both with an authentic vintage feel. We are off to Belle Italia next, and the romance of Rome. This 5-star hotel resides in a majestic old palace in a great central location. It’s a smaller hotel, with only 30 rooms but lots of choice of accommodation. Rooms are beautifully decorated, and retain the old charm of the palace whist bringing them into this century using contemporary furniture, furnishings and neo-classic artworks. 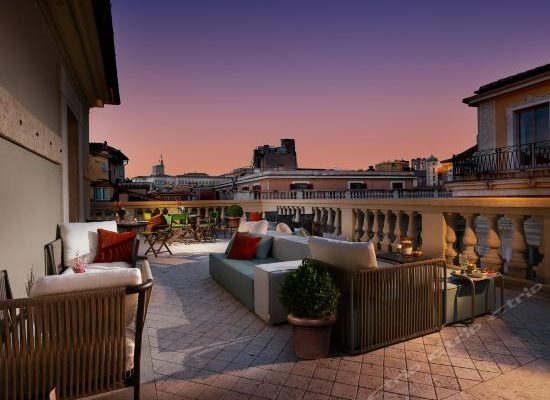 The treasure of this hotel is the rooftop lounge and restaurant where you can enjoy breakfast, lunch and dinner surrounded by the rooftops of Rome. This looks to be one of the most beautiful hotels to open this year, and will certainly be the most romantic. Nestled in the narrow streets of the Old Town, this 18th century palace is in the process of being totally restored and will provide the backdrop for sumptuous suites set in the old palace drawing rooms and libraries, where a Midsummer Night’s Dream/dilapidated luxury meets the modern world. There will be a spa, a gastro restaurant and a huge secret garden (“Palma’s largest and most original urban garden”), providing an oasis of mystery and magic within the city. Open soon. Switch off and reconnect with nature in this stunning new hotel, immersed in the tropical paradise of Asia’s most tree-filled country. The 23 gorgeous rooms, suites, villas, or tents are surrounded by lush greenery, and a river beginning at a waterfall runs through the retreat. There are spa tents offering views of the surrounding mountains where you can enjoy treatments, and a pool situated next to the waterfall for complete relaxation. There is only one restaurant, and it serves Laotian inspired cuisine using locally sourced ingredients on a daily changing menu. 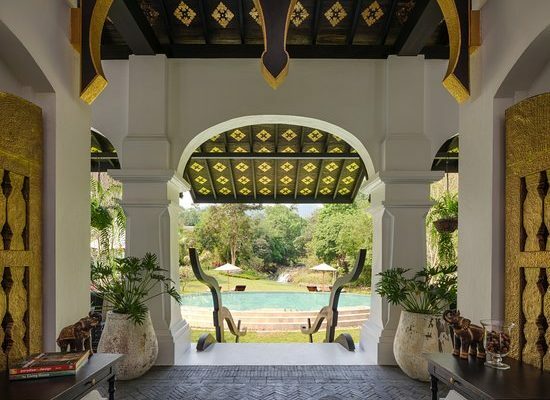 There is an air of old colonial elegance at the Rosewood, combined with traditional Laotian craftsmanship, and an atmosphere of peace that will probably linger long after your holiday is over. Another great option for a true escape into nature, is this lodge retreat that seems to grow up out of the rainforest, close to the largest waterfalls in the world – The Iguazu Falls. 14 stunningly decorated wooden villas are dotted around the main lodge, each with their own outdoor terrace and private plunge pool. 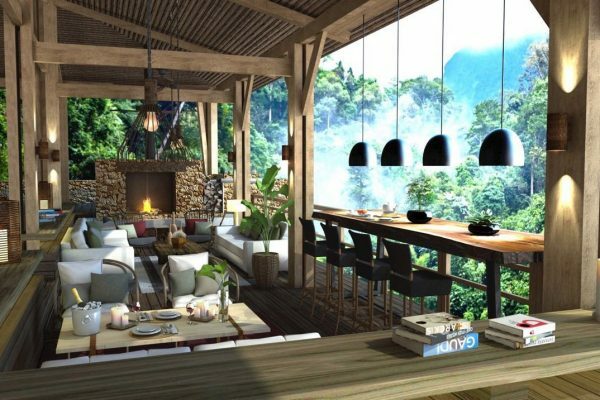 Trees and tropical birds will be all you see from your villa. Rates are high, but everything is included in the price; transfers, lodging, meals, drinks and private excursions. Each villa is also assigned a private guide and 4WD, giving you the freedom to explore as and when you wish. The food is gastronomic artistry, using seasonal produce and vegetables from their own kitchen garden. A true heaven on earth. If you are after a real once-in-a-lifetime experience, this could be it. Opening later this year, this grass-thatched lodge set in the Virunga volcano range will be the base from which you will go out into the foothills to have your very own up-close encounter with one of the eight families of gorillas that live there. You will experience these phenomenal animals in their natural habitat – something you would never forget. The lodge will be simple but comfortable, with a spa and restaurant that uses home-grown produce. There will also be a nine-hole golf course for unwinding after a busy day of gorilla spotting. 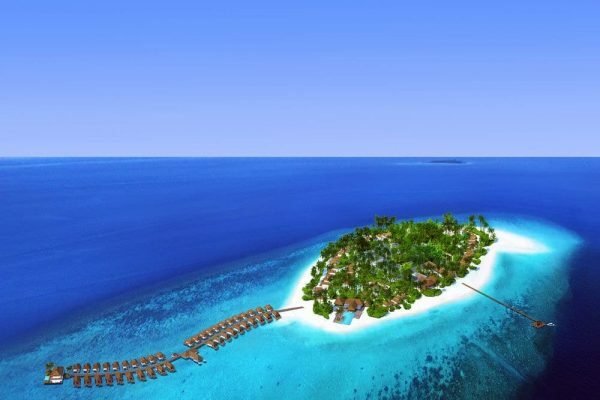 If you really can’t get enough of blue sea and beaches, then you could do worse than a trip to the little island of Maagau in the Dhaalu Atoll, where in November this year a sublime new resort is opening. Described on the website as “Paradise with Italian grace”, the Baglioni Resort is indeed a heady mix of Italian style and island rustic charm. 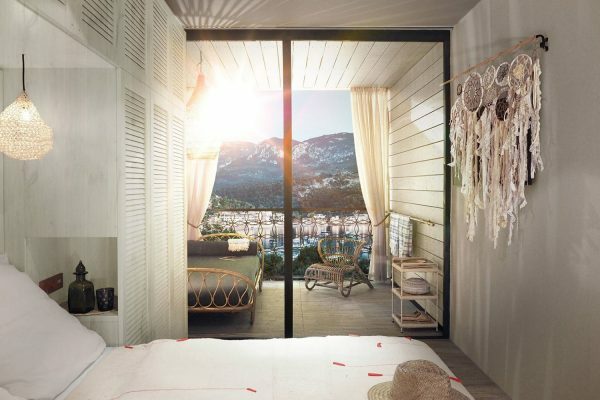 There will be a selection of lush villas and rooms to chose from – either on the island itself or off the long jetty that reaches out into the turquoise waters – featuring delights such as outdoor showers and baths, private plunge pools and sun terraces. There will be a five-star PADI dive centre including resident marine biologist, three gourmet restaurants, bar, pool and spa. You might never leave. 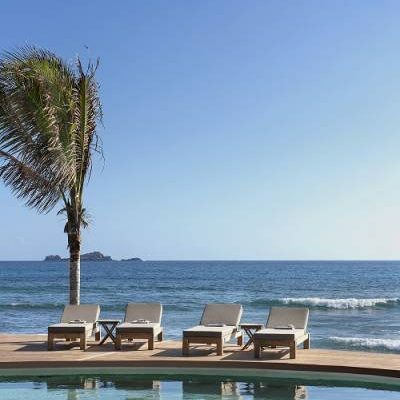 Last but not least is a stylish new resort on the beautiful island of St. Barth. The wonderfully pared-back décor is refreshing and homely, yet feels luxurious at the same time. There are 43 rooms and suites facing the ocean or the lush gardens, some with a Jacuzzi to sink into. There are two pools and a spa, as well as an indoor/outdoor restaurant on the beach offering French/Caribbean fusion cuisine with seafood and home-grown vegetables aplenty. An ocean-facing bar will keep the cocktails coming as you lounge by the pool.